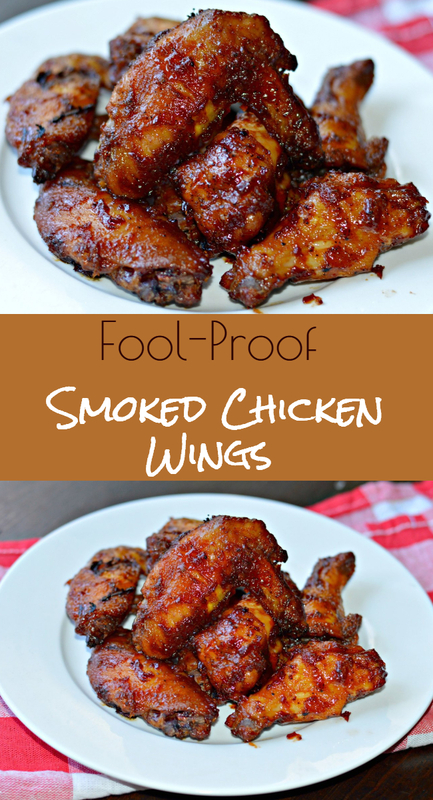 Inside: Find out the foolproof method to make perfect smoked chicken wings using your wood pellet grill. Ever since we bought our Traeger wood pellet grill last year, we have gotten a lot of use out of it. We have made brisket, pulled pork, nachos, burgers and more and everything has been amazing. Once you start smoking meat, it is hard to eat it any other way! A couple of weeks ago, we were invited to a Super Bowl party. We offered to bring a few things, including some wings. We thought about making our delicious buffalo wings recipe but decided that we wanted to try something new instead. In the end, we decided to try our hand at making smoked chicken wings and they were delicious. While these wings get a lot of their flavor from the smoke itself, it is also important to prepare them correctly. We started by adding the cleaned wings to a ziplock bag with about a tablespoon of oil. We then added about 1 tablespoon of the chicken rub from Traeger, and one tablespoon of the Traeger Rub before sealing the bag and shaking it up to get some seasoning on all of the wings. We then put them in the refrigerator and let them marinate for about one hour. 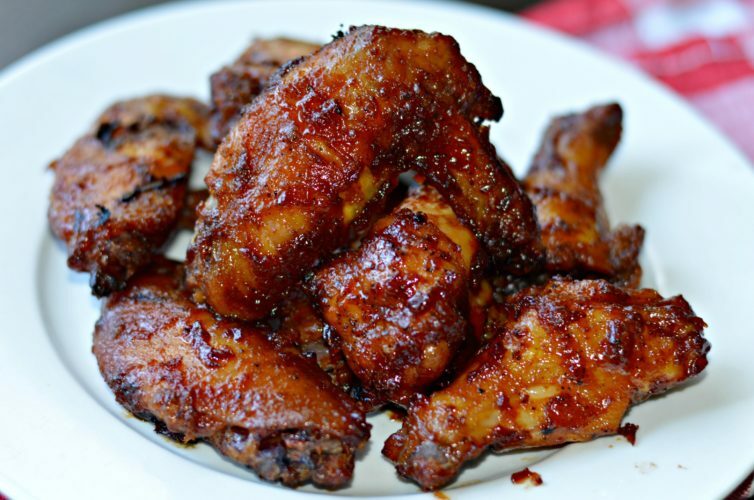 What Temperature Should You Set Your Wood Pellet Grill For These Smoked Chicken Wings? One of the good things about smoking chicken wings is that it doesn’t take nearly as long as some other meats. We used a two-step process for smoking these chicken wings. The first step was to set our Traeger Texas Elite 34 smoker to 225 degrees Fahrenheit. After it reached the correct heat, we added the chicken wing sections and cooked them for about 45 minutes. At that point, they had reached an internal temperature right at 160 degrees Fahrenheit. The second step was to remove the smoked wings from the grill and toss them in our favorite Traeger sauce, Traeger ‘Que. There are lots of other sauces that you can use as well. Check them out here. While tossing, you will want to increase the heat to about 375 – 400 degrees Fahrenheit. After each wing was coated in the sauce, we added them back to the grill for an additional 20 minutes so that the sauce could adhere to the wings and bring in some extra smoke. For these smoked chicken wings, we used cherry wood pellets, but they would also be really good with hickory or mesquite. The good thing about a wood pellet grill from Traeger is that it makes the whole process very easy. They have lots of different options in different price ranges, so check them out if you don’t already have one. We had a lot of success with these wings, and everyone loved them at the party. It is really amazing how much flavor some smoke can give to chicken wings. 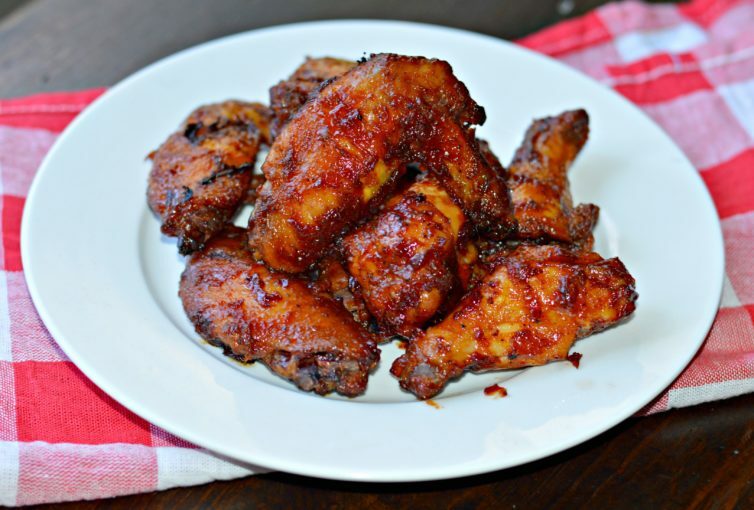 Once you try these wings, you may never be able to go back to making them any other way. Let me know in the comments below how they turned out for you. 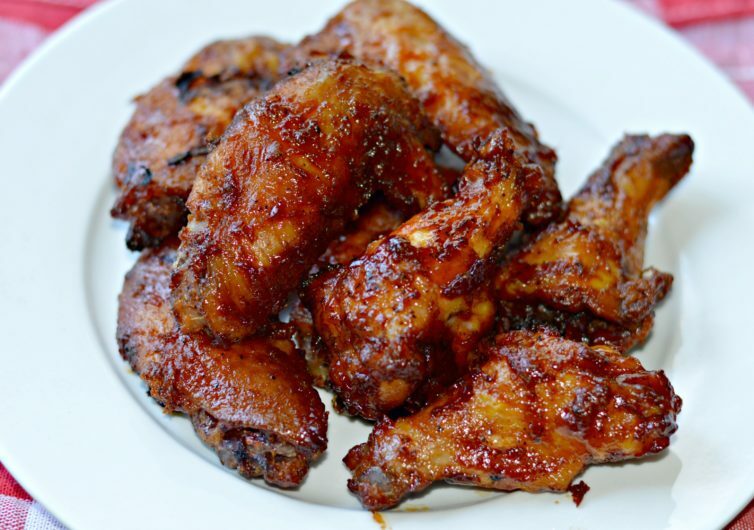 Find out the foolproof method to make perfect smoked chicken wings using your wood pellet grill. 1 cup Traeger 'Que BBQ sauce or other BBQ sauce of your choice. Add the chicken wings to a large ziplock bag and add the olive oil and rubs. Shake around until wings are coated with oil and rub. Preheat wood pellet grill to 225 degrees Fahrenheit. Add wings to the wood pellet grill and cook for about 45 minutes, or until wings reach an internal temperature of 160 degrees Fahrenheit. 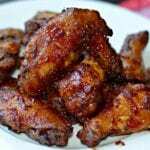 Toss the wings in the BBQ sauce and increase heat to 375 degrees Fahrenheit. Return wings to the grill and cook for an additional 20 minutes. Serve with ranch dressing or alone. « El mejor y más delicioso Chocoflan!